Using the same design principles from the original, the new Jawbone retains its sleek and sophisticated look. The designers have gone back to the drawing board on this one and they’ve come out with a design that is 50-percent smaller whilst encompassing the same technology for improved speech pickup by the microphone. The new Jawbone is available in three colours, black, silver and gold for matching your favourite outfits. Aliph, the creators of the Jawbone, have thought about the whole experience of using a Jawbone. The packaging that the Jawbone comes in, is cleverly designed to maximise use of space and for an intuitive unboxing experience so that you can get setup quickly and easily. The minute design encompasses the same design philosophies that were applied to the original model. There are no visible buttons on any of the surfaces. This gives the Jawbone a smooth and integrated design that speaks simplicity and elegance. The buttons have been designed in to the exterior surface, and whilst this does make it a bit awkward to press, you do get used to it after spending some time using it. It’s getting the right feel and location for where the buttons are located is the key to getting the design to work for you. 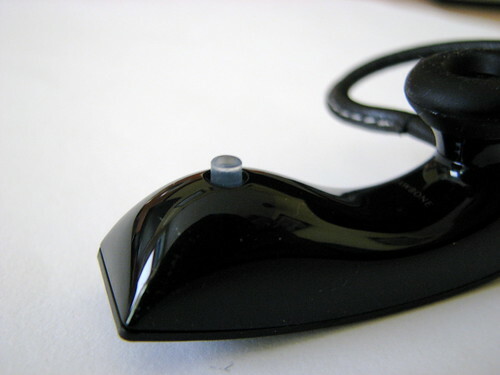 A set of leather earloops are provided in the box with various sizes to fit your ear to ensure a secure and comfortable fit. I’m pleased to say that the new Jawbone is every bit as solid, robust and comfortable as the original, which makes even more seamless to use whether you’re on the road or in the office. The trademark technology that Aliph created for the Jawbone called NoiseAssasin continues to make calls crystal clear by minimising background noise and interference. Rather than using a typical microphone for picking up speech, the Jawbone uses a patented technology which detects when the person is talking and filters out the frequencies of the speakers voice. Using military-grade technology from DARPA, the original Jawbone features a chip which accurately detects background noise and actively reduces it. How does it do it? A sensor that sits on the tip of the Jawbone, lightly touches your face and through this sensor, it detects the vibrations in the bones of your face, hence the name. The information picked up from the sensor is then sent to the NoiseAssassin chip, which allows it to understand which part of the audio spectrum belongs to your voice and which part is coming from your surrounding environment. Conventional headset systems do not have this type of hardware-filtering and instead rely on a software equaliser to reduce background noise, often resulting in reduced quality. 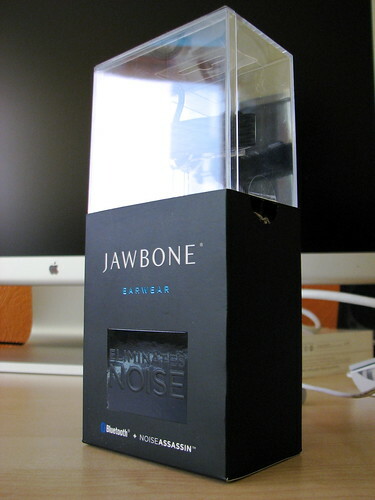 Testing the Jawbone in the car, proved the effectiveness of the NoiseAssasin technology. With the noise filtering turned off, I was able to pick up the noises coming from the car and music playing. However when the noise filtering was turned on, the background noises were suppressed almost immediately to the point where I couldn’t hear any of the background noises apart from a very feint beat. 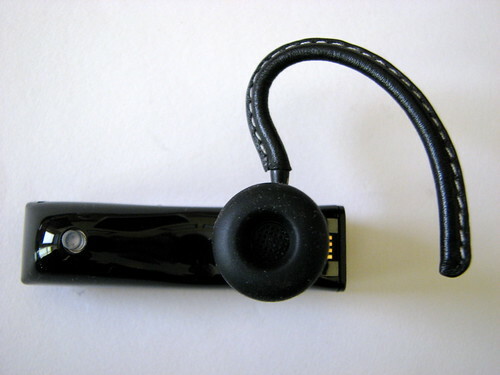 A small mains adapter and USB cable are included in the box for charging up the Jawbone. 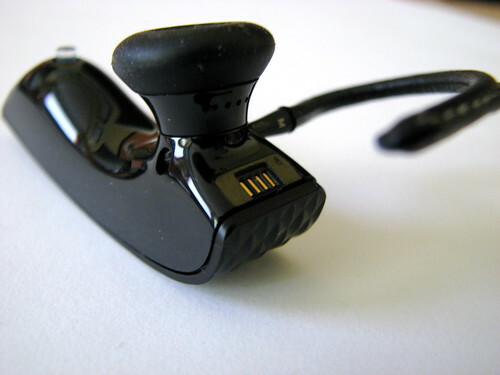 Whilst the original headset had a cap that fitted on to the end of the unit, the new model comes with an Apple-esque magnetic connection that lightly connects to the end of the Jawbone. You can charge from a USB connection or plug the USB end in to the mains adapter. On full charge, I got as much as 3.5 hours of talk time, which is less than the five I got from the original, however for me that was plenty to make me through the week. A fast charge will get it up to 80% capacity in just 30 minutes. 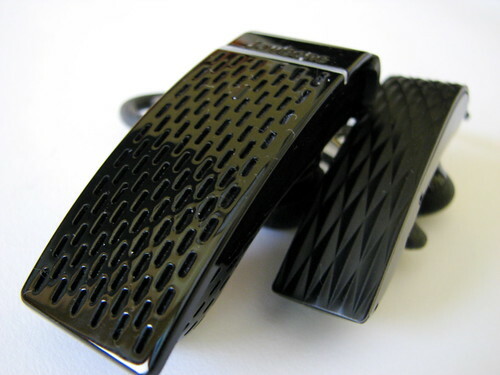 Aliph have set a new milestone in form and function with the latest iteration of the Jawbone. This exemplary product of innovation and research happily addresses the issues that I discovered in the original. The gorgeous design can appeal to both male or female users without making either look stupid. If anything, the new Jawbone is one of the latest gadgets to go fashion accessory. The new JBone looks tiny! But then again, I always thought my original Jawbone was pretty hefty. The question is, whether I can justify getting the new one since mine is still running good.